Smiling is the all-natural mood-booster everyone needs from time to time. Think about the look on your face as you make your way to work on a Monday morning. It’s likely not the happiest-looking face you’ve ever had on. With the weekend gone to dust and a long week ahead, you’re likely tired and filled with a bit of dread. But new research has found a very simple way to trick yourself into being happier – a bit happier, anyway – during these dark times. For a study published Thursday in Psychological Bulletin, researchers at Texas A&M University and the University of Tennessee reviewed five decades of data on facial expressions in an effort to determine whether human emotions can be influenced by feedback from facial movements. “Conventional wisdom tells us that we can feel a little happier if we simply smile. Or that we can get ourselves in a more serious mood if we scowl. But psychologists have actually disagreed about this idea for over 100 years” says lead author Nicholas Coles, a researcher from the University of Tennessee, in a release. 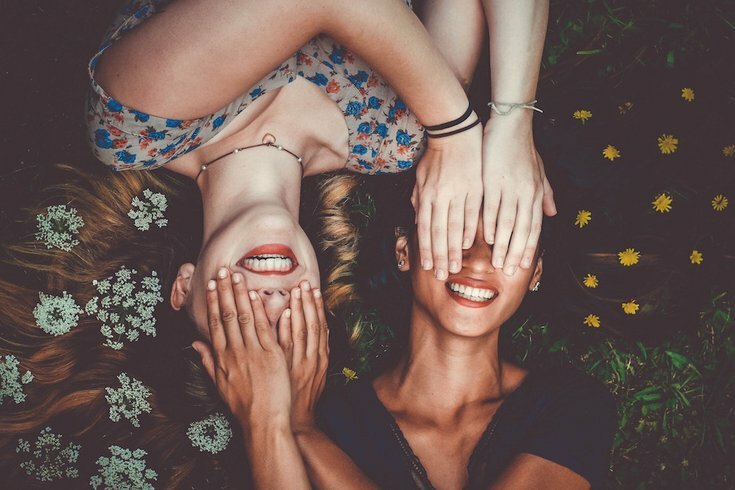 That disagreement, paired with the fact that 17 teams of researchers in 2016 were unable to a reproduce the findings of a well-known study that held that smiling can make people feel happier — sparked the current research. They set out to examine all of the conflicting data on the matter. So, in a meta-analysis — which allows researchers to combine data from multiple studies — the team examined facial expression data from 138 studies involving 11,000 participants worldwide. They discovered that facial expressions do affect people’s emotions — on a small scale, at least. For example, they found that smiling tends to make people feel happier, while scowling makes them feel angrier, and frowning makes them feel more sad, the researchers explained. “We don’t think that people can ‘smile their way to happiness’. But these findings are exciting because they provide a clue about how the mind and the body interact to shape our conscious experience of emotion,” Coles said. So, on Monday morning, when you’re feeling a special sort of way about starting off the work week, don’t forget to turn that frown upside down — it’s probably just the mood-booster that you need.